Biscuits? Muffins? What should I call these mini-soda breads? Biscuits (American not English) typically aren’t sweet, muffins typically are. These are as sweet as you want them to be, they look like biscuits, you can eat them like biscuits, but you make them in a muffin tin. I’ve been struggling with this question for days. It’s been a good excuse to continue taste testing my way through the FIVE DOZEN I’ve made in order to perfect the recipe. What I can tell you is that they are very good, and that the recipe is wonderfully flexible. If you want them to be more like traditional soda bread (more biscuit tasting) you can leave out the sugar all together. If you want them to taste more sweet like muffins, you can increase the sugar. If you are going to eat them immediately, or trying to cut down on fat, you can reduce the butter. I made a version with raisins, a version with raisins and caraway seeds together, and even a version with just a teaspoon of orange zest as an add-in. They were all great. I was especially surprised at how good the caraway seeds and the raisins were together, in this slightly sweet biscuit/muffin. Obviously I preferred the full sugar, full butter version, but the lower sugar/lower butter version was good too (I just added more butter and jam to those). *These add-ins are entirely optional. You could just do plain biscuits, or add in a teaspoon of orange zest, lemon zest, or a couple tablespoons of chopped candied ginger, or a teaspoon of minced rosemary. Have fun with it! **You can substitute the 1 1/4 cups buttermilk with 1 cup 3 Tbsp of regular whole milk mixed with 1 Tbsp of white vinegar. 1 Preheat oven, prepare muffin pan: Preheat oven to 425°F. Butter a standard muffin pan. 2 Combine dry ingredients: In a large bowl, vigorously whisk together the flour, sugar, baking soda, and salt. 3 Cut butter into flour, add mix-ins: Cut the butter into tablespoon sized pieces into the bowl of flour. Using your (clean) fingers, work the butter into the flour, schmooshing (technical term) the butter between your fingers and mixing with the flour until the mixture resembles a coarse meal. If you are using raisins, caraway seeds, or any other add-ins, mix them into the mixture now. 4 Add buttermilk and form dough: Make a well in the center of the flour. Pour the buttermilk into the center of the well. Use a wooden spoon to gently mix the flour into the buttermilk until the flour is moistened with the buttermilk. Then use your hands to form the mixture into a loose, shaggy, slightly sticky ball of dough. The dough should be a little sticky, if it's too dry, add a tablespoon more of buttermilk. If it's just too wet to handle, add a sprinkling more of flour. Do not over-mix! And at this point work quickly. As soon as the acidic buttermilk interacts with the alkaline baking soda, bubbles will form and leavening will start. 5 Divide dough among wells of muffin tin: Break off 12-equal portions of the dough and place them in the wells of the muffin tin. 6 Bake: Put in the oven and bake for 12-13 minutes at 425°F, until the tops are nicely browned. Remove from the oven and let cool for a couple minutes in the pan. Remove the biscuits from the muffin tin to a rack to cool for a few minutes more. Hello! All photos and content are copyright protected. Please do not use our photos without prior written permission. If you wish to republish this recipe, please rewrite the recipe in your own unique words and link back to Soda Bread Biscuits on Simply Recipes. Thank you! Used Craisins instead of raisins and cut ingredients in half to make 4 large biscuits in a jumbo muffin pan. This worked out very well! Great idea for muffins! They worked perfectly! Great Andrea, I’m so glad you liked them! Love the idea of using half whole wheat bread. Brilliant! Last-minute soda bread for St. Patrick’s Day dinner. Delicious. Just baked these for a St. Patty’s Day dinner. Easy and DELISH! This recipe is a keeper! Mine took 18 mins brown. Also -way more than 12 (I used an ice cream scoop) so put the rest on a cookie sheet. 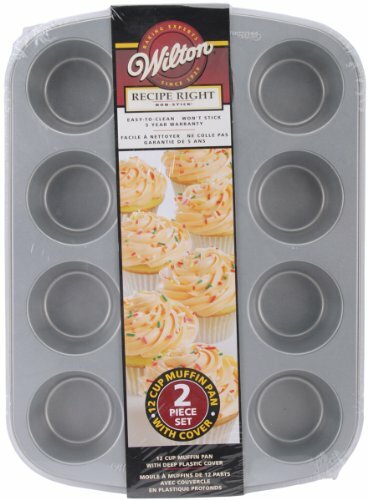 Can I use a Jumbo Muffin pan rather than a conventional one ? Hi, Robert! Emma here, managing editor for Simply Recipes. Yes you can use a jumbo pan. Either double the amount of batter in each cup (baking time will probably be increased), or make them regular-sized and know that your breads might be a little flatter (like scones). Enjoy! I make these for St. Patrick’s Day. I like the optional add-ins, and lemon with rosemary is probably my favorite. If we can’t finish them the same day (admittedly rare) I refrigerate them, cut them in half, toast lightly and spread with blackberry jam. These are delicious! I’m allergic to dairy so I subbed coconut milk for the milk and added 1 T plus 1 t vinegar, to it for the buttermilk. I used 3 T unprocessed cane sugar for the sugar. Putting them in the muffin tins made them huge, so instead I dropped them onto a cookie sheet and got 18. They baked up in 10 minutes. You know it’s a good recipe when it holds up so well to substitutions and turns out divine every time. This is one for my recipe box for sure. Fabulous! Thank you! How long will these keep well? I would like to try making them for my daughter’s wedding dinner tomorrow nght. Hi Lori, soda bread should typically be made right before serving. I made these today on St. Patrick’s Day. They came out great! They taste just as good as my mothers’ Irish soda bread, except in miniature form. Thanks for a wonderful recipe! I will be baking up a batch for my co-workers tomorrow! How long will these stay fresh? I want to bring them to a brunch event on St. Patrick day. Could I make them the night before? Thanks. Hi Tiny, like any quick bread, these biscuits will be best freshly baked. I would make them the morning of. They also look a lot like a UK rock cake. Do you have those in Ireland? These were delicious! Soft and flaky and wonderful. I’m a bit of a junkie for the raisin/caraway combination, so even though I used the max recommended amounts, I found myself craving a bit more. I may increase to 3 tsp caraway and 1 1/4 c raisins next time. Otherwise just delicious! We make these in my Home Ec Classes. Used a quarter recipe for an individual final exam. Works well with fat Free milk and margerine, too. These really taste best with the raisins. Cranraisns or dried fruit would be good for the raisin haters. Great for Christmas morning too. Great recipe, real easy! I make it at least once a week, usually add garlic,cheese,or some spices to accompany whatever I whip up that night. how about soy milk instead of buttermilk? I am on my third batch now…I live and work in a community and my colleagues have dubbed these “Sabbath Scones” since I make them on our day off. So far I’ve tried them with Orange zest & ginger, lemon zest and candied ginger, and today, apples, candied ginger, cinnamon & nutmeg. It’s becoming a real adventure: What shall I put in this week? They are ALWAYS yummy! Btw, Last week (Lemon zest & ginger) I was a bit short on buttermilk and make up the difference with lemon juice; worked wonderfully, and raised them even more than the buttermilk alone. I also do not have a muffin tin, but I set muffin papers in a quiche pan and that works just fine! Thanks for another great recipe! These made for a cozy, delicious start to a cold, rainy day. And they were so quick and easy to make! I made this plain for the kids and they were super! Thanks, I will make them again (and again…).